I have again for you, my faithful folowers another luxurious giveaway. Today you can win a cosmetic package Estée Lauder, which includes mascara, brightener, lip gloss, mini eye cream and mini facial serum. Please fill out the Rafflecopter form and cross your fingers. Giveaway will run until 07.03.2014 and is open internationally. Znovu mám pre vás, moje verné folowerky ďalšiu luxusnú giveaway. Dnes sa hraje o kozmetický balíček Estée Lauder, ktorý obsahuje maskaru, rozjasňovač, lesk na pery, mini krém na oči a mini pleťové sérum. Vyplňte prosím Rafflecopter formulár a držte si palce. Giveaway pobeží do 7.3.2014 a je otvorená medzinárodne. Hi! are all entries mandatory? Thank you for this wondefu giveaway! I dream of this brand! By the way thank yo for the prize that arrive the other week. Happy New Year !!! My best wishes to you and to your blog, thank you for this beautiful giveaway !!! Feliz Año !!! A ver si tengo suerte en este sorteazo. Finger crossed my skin needs them all ! It's AMAZING!!!! I Love it!!! Thank you so much!!!! Happy New Year!!! Thank you for this giveaway!Happy New Year!!! Feliz año! Gracias por el sorteo! Happy new year! This is beautiful giveaway! Happy New Year! 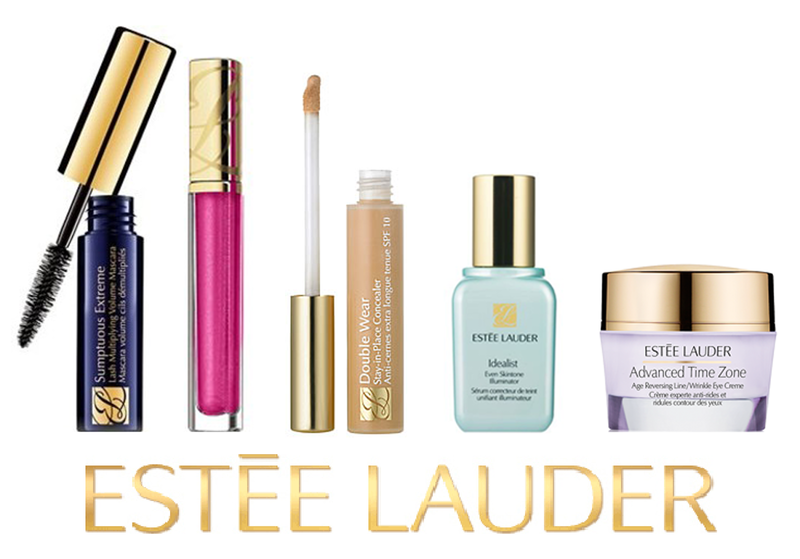 I like the Product of Estee Lauder!! Will there be more great giveaways? My question: what's your top 3 best fashion must-haves? It's amazing prize!!! : Thank you Ema for the beautiful prize!! Happy New Year!!! thank you for the lovely giveaway! I've been meaning to buy my mother new estee lauder beauty essentials. Hope my entry wins! Hello. I was wrong in the Instagram nickname, the right is smokesigns. Marvelous giveaway! Thank you for the chance to win! Thanks for the chance... Hoping to win!! Thank you for this giveaway. Just to let youknow, tried to follow you on Instagram, but "Action Not Allowed ". Thanks for such s great giveawsy.